While many may believe Bolivia to be an Andean Nation, in reality, Bolivia is the country with the greatest part of its territory in the Amazon Basin. According to data from the Amazon Cooperation Treaty Organization, the Bolivian area of the Amazon covers 824,000 square kilometers, representing 75% of its national territory and 11.2% of the Amazon Basin as a whole. The Bolivian Amazon is located in the departments of Beni, Pando, Santa Cruz, La Paz and Cochabamba. 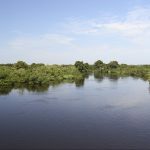 The rivers of the Amazon Basin begin in the snow-covered Andean mountains and are a source of some of the major tributaries of the Amazon: The Madera River, the Beni River, and the Madre de Dios River. The region has the greatest ethnic and cultural diversity in the country and is inhabited by around thirty indigenous communities; each one of them having their own forms of socio-cultural organization and language. It also has a biological diversity reflected in a wide variety of flora and fauna. As a result, despite being a relatively small country, Bolivia is ranked seventh in the world for the greatest diversity of birds and eleventh for its variety of mammals. 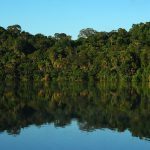 The impact and ecological intervention in the Bolivian Amazon is one of the lowest in the region. 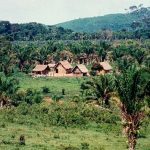 It has a demographic rate of less than two inhabitants for every square kilometer and the targeted deforestation rate is well below the levels experienced by neighboring countries. Well-known for its permanently green tropical rainforest, solid ground and channeled rivers. It is known as the Caucho region and produces considerable natural resources such as brazil nuts, palm hearts, fine woods, exotic fruits, medicinal species, natural rubber (hevea brasiliensis) and sedimentary gold. The Moxos Plains have impressive pampas which are regularly flooded by waters coming down from the Andes. In this area, known as “Varzea”, the livestock industry and the sustainable use of hydrobiological resources are being developed (fish, reptiles, turtles). Located in the area of the Brazilian Precambrian geological formation includes undulating woodland areas, waterfalls and a landscape of plateaus. This is where the area of the country’s greatest agricultural expansion is to be found; where soya, cotton and sugar cane are produced. There are also valuable deposits of minerals and hydrocarbons. 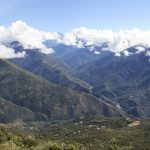 Made up of woods stretching to the Andean mountains, this area possess an immense wealth of biodiversity and is known as the Tropical Andes. It produces tropical fruits, coca, precious woods and has large oil reserves. The Pantanal is found to the east of the country. 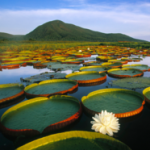 Its main feature is its enormous quantity of wetlands and swamps, rich in flora and fauna. The area also has a geological formation rich in minerals such as iron.